The Free Chewey Project is dedicated to helping John Douglas Grange, AKA “Chewey”, a man wrongfully convicted of a double-homicide that occurred near the Northport Barter Faire in a rural area of Northeastern Washington State on June 11, 2000. At the age of 25, John’s life crumbled when his friends framed him by giving false testimony that prosecutor’s would use seal his fate with a 63 year prison sentence. Convicted for two murders he did not commit, it has been eighteen years since the murders of Nick Kaiser and Joshua Schaefer and we still seek justice and freedom for Chewey. Chewey’s Voice is where you can read letters and other writing from John in prison. Being a lifer is anything but easy and it’s important to recognize what prisoners go through on a daily basis. John has been moved to Airway Heights Correctional Center in WA. Visiting is Friday through Monday so its nice being able to see him often and especially during the holidays. It’s the beginning of summer here in Washington State and we are fortunate to have the National Rainbow Gathering in Oregon this year, not too far down the trail. We will be coming home to share with family the vibration for world peace. This is a crucial time for us to focalize our advocacy and share in prayers for our imprisoned brother. On July 3rd we will be circling up to write letters to mail Chewey in the Washington State Penitentiary. He is going on his 16th year of lockup as a lifer. Look for our flyer on the message board at Information for directions of where in the wilds we will be meeting. We encourage supporters of the truth to join with us to fight this unjust framing of The Rainbow Family and Chewey. We are currently seeking an Appellate lawyer to represent John. Contact us at contact@freecheweyproject.org if you know of anyone who can be a legal representative. FCP.org would like to thank William Leonard Pickard for his help and interest in our cause. Check out our request for assistance and a new statement about our search for more information using FOIA. This is a group lettering to all of you supporters out there about my housing. I was denied Airway Heights Correctional Center and it looks like that is more or less a permanent situation. Nancy Davies at HQ, the lady who originally decided I needed to be in Close Custody has taken upon herself to deny me leaving Close Custody. Everyone in the prison system can recommend me for Airway, but she holds the keys to the kingdom and for whatever reason Ms. Davies just doesn’t like me. So I will remain here, not just this year, but it sounds like it will be many years. In reality, Lifers need not ever be given a chance to leave Close Custody, so there it is. I finally moved down the tier to cell EW-230, so any further mail can be addressed to that cell. I should not be moving again for quite some time unless the institution does more security moves. 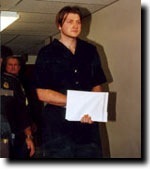 Almost a year has passed since John was transferred to Washington State Penitentiary in Walla Walla. He has been enjoying working in the textile department and in the green house. 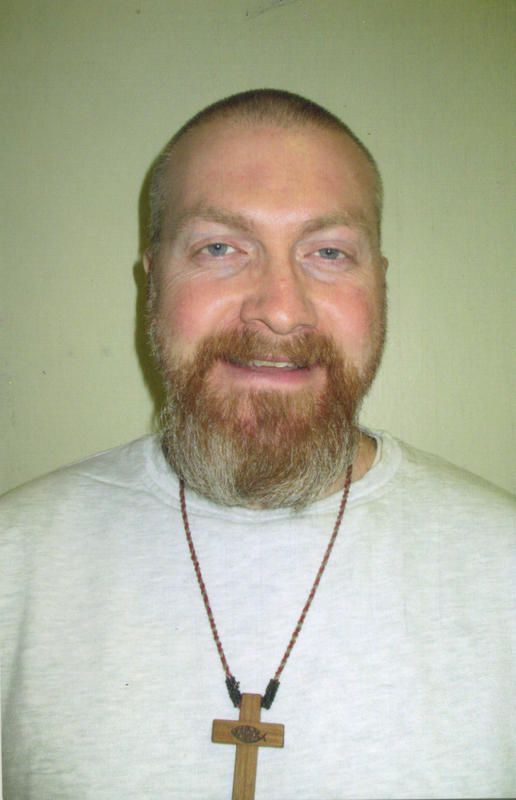 John has been transferred to Washington State Penitentiary in Walla Walla, Wa. His new address is located on the Contact page of this site. Thanks to some solid volunteer hours over the last 6 months we now have digital documents available in three usable formats. The chore of sifting through 3,500 pages and determining what to publish is our next step. We have added a new Menu, Documents, as a general repository for papers other than the Volumes of transcripts from John’s trial that are located in Transcripts From Trial. A new season is upon us and it’s been some long months of winter since our inception! We have been compiling current letters and stories from John in prison in “Chewey’s Voice”. We also have the Trial Transcripts newly pressed on the site. You can easily view and scroll through any transcript, anytime, by clicking on the Transcripts From Trial menu. Each transcript volume is listed with names and contents, pre-trial to sentencing. You can read what happened in the transcripts, word for word, and educate towards your own conclusions about this complicated trial and dark event. John writes often about life in prison and the many facets of his case and trial. We post all current letters and they are located in Chewey’s Voice. Being locked into the rigid pattern of incarceration leaves an inmate with few outlets for individual creative expression. The best contact with the outside world happens through writing letters with loved ones. One of John’s homespun income in prison is illustrating pictures for other inmates who come to him for cards to send home to loved ones on special occasions. John studied creative writing while taking college courses during his first years in prison and his skill shines through in his letters and short stories. He has honed his skill with the pen and it seems we can expect an increase in stories. Take the time to read the letters in Chewey’s Voice and you will see John’s humorous side. This is the side we have grown to love and it solidifies the miserable reality of life behind bars. In the last six months much of John’s time has been spent pouring over hundreds of new pages of documents that he received after his file was dusted off and returned to him by the Innocence Project from the University of Washington. He has spent hours reading and re-reading, organizing, indexing and taking notes in an attempt to make sense of it all. John has taken an even deeper dive into his case with this new influx of information and has also clarified exactly which Bates pages are missing from the original documents. There will be a new push in the coming year for the missing documents. The prosecutor in John’s case has denied John access to the information needed to rally his own defense. This is the place to learn more about the case of John Douglas “Chewey” Grange and his current struggle to free himself from being wrongfully convicted of murder. We are the pulse for a man framed and currently locked away for what is a death sentence of 63 years. This fall we are approaching the rabbit hole, 13 years ago John was arrested and the horror of imprisonment of an innocent person began. From the fragments of injustice a group of people has assembled to raise awareness and unity. Look around the site, it is under construction so keep checking back! You’ll notice some of our initial offerings are the contact address for John at Washington State Penitentiary. John welcomes all communications. We encourage all long ago friends, family or public to send letters of support for this victim of the drug war. Free Chewey!